Although watercolor has been recognized as a quintessentially American medium, it is receiving increasing attention globally. A new book publication from Russia called Masters of Watercolor features one of Mary Whyte's paintings on the cover, and includes works by many of the world's finest contemporary watercolor painters. This fall Mary Whyte will be joining several artists to paint in China. Mary Whyte Meets George W.
Read the Post and Courier column here. Read the Tidelines blog here. UPDATE! By popular demand, the exhibition has been extended through January 2, 2018! As the winner of the Pursuit of the Podium fundraising contest, Mary Whyte conducted a short piece during the curtain raising concert, Sunset Serenade, on the steps of the U.S. Custom House, kicking off Piccolo Spoleto, Charleston's fourteen day arts festival through June 11th. Brava Mary! Artists Mary Whyte and Mary Jackson will talk with Gibbes Executive Director Angela Mack about their work, their relationship, and the role of the artist and the sitter. In 2016 the Portrait Society of America chose Mary Whyte as the Society’s Gold Medal recipient. A renowned watercolor artist, Mary is also a teacher and author whose figurative paintings have earned international recognition. 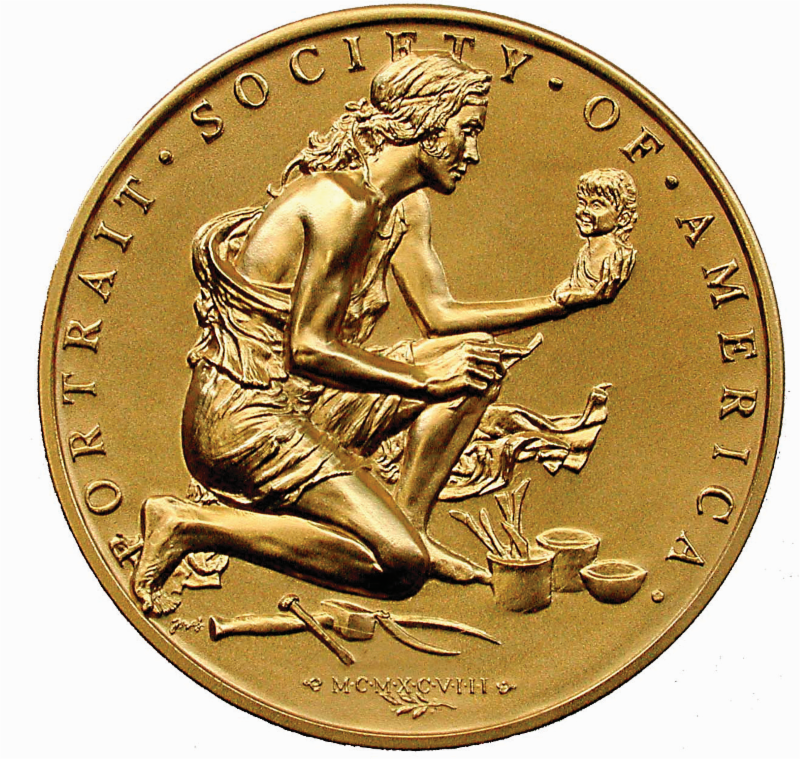 Truth, Skill and Vision - these three words are engraved on the reverse side of the Portrait Society's Gold Medal. This award, presented annually by the Portrait Society, honors a lifelong dedication to excellence, as well as recognition of a distinguished body of work that serves to foster and enhance fine art portraiture and figurative works in America. Past recipients have included some of America's most renowned artists including Andrew Wyeth, Jamie Wyeth, Nelson Shanks, Philip Pearlstein and Burton Silverman. Join us as we congratulate Mary Whyte as her name is added to this impressive roster of artists of achievement.